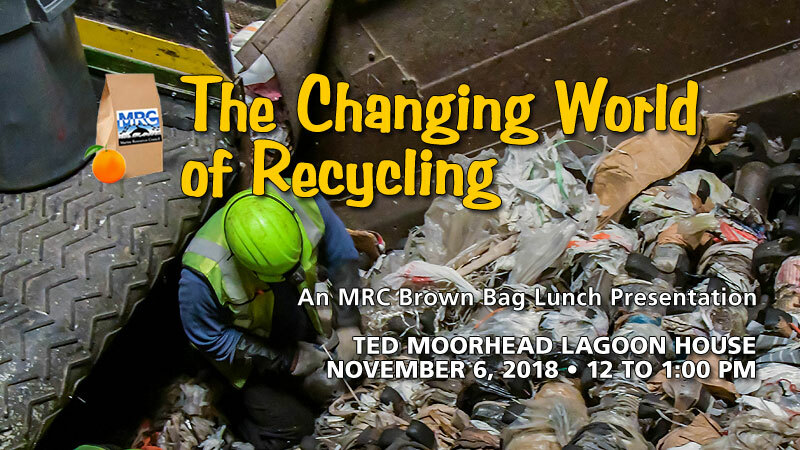 Join us for our November Brown Bag presentation with Amy Boyson, Community Affairs Manager for Waste Management. She will be speaking regarding how recycling has evolved over the years, as well as providing an update on the recycling situation with China and how it is impacting recycling. She will also discuss the do’s and don’ts of recycling, including the items that can and can’t be recycled. The image above shows workers removing plastic bags wrapped in recycling machinery at the Waste Management Recycling Brevard facility in Cocoa. Click here to read an article from Florida Today, featuring Amy, regarding the current recycling situation. Amy Boyson is a graduate of the University of North Florida with a Bachelor of Science degree in Communications with a Public Relations concentration. Ms. Boyson has eleven years of experience in the communications/community relations field and is responsible for internal and external communication, community outreach and community awareness of Waste Management’s sustainability efforts in Central and North Florida. This event is free and open to the public, all attendees have to do is register online. If interested and able, we ask participants to donate $5 toward our guest speaker series. This educational series is a long-standing and cherished program of the MRC that is supported by volunteers and the community’s charitable giving. All donations are tax-deductible. Attendees are encouraged and welcome to bring and enjoy their lunch during the seminar!